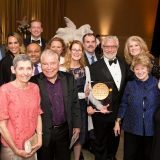 The Performing Arts Medical Association (PAMA) held its 36th annual international symposium “Glamour and Grit: Building an Entourage for Health” at Chapman’s Musco Center for the Arts June 30- July 1. 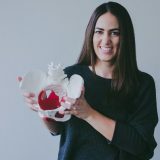 PAMA is an organization comprised of dedicated medical professionals, artists, educators, and administrators with the common goal of improving the health care of the performing artist. It was founded in 1989 and includes members from around the world. 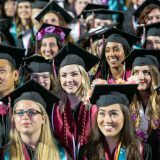 The conference was attended by over 200 people and was supported by funding from Crean College of Health and Behavioral Sciences and the College of Performing Arts and Crean College with coordination by Associate Professor of Dance, Robin Kish and Jennie Morton. 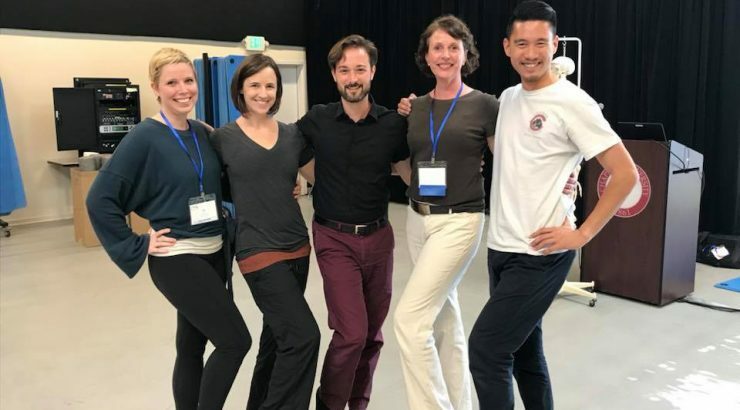 Recent Chapman Alumni Chad Van Ramshorst and current DPT student Robert Tsai were invited to lead a workshop titled “Strengthening and Principles of Functional Progression for Upper Extremity Weight-bearing in Dance”. 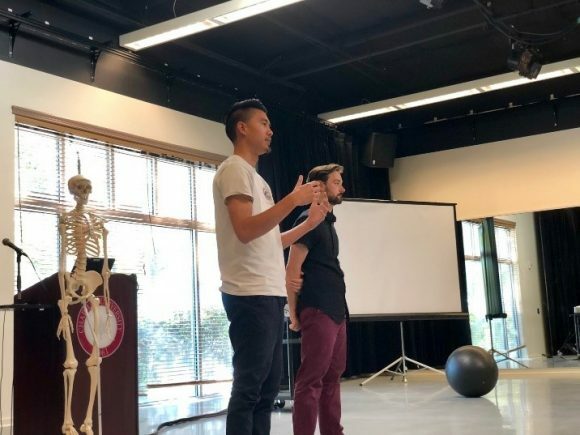 “Our workshop not only included exercises for strengthening key stabilizing musculature of the shoulder for injury prevention, but also integrated the principles of these exercises into a functional progression to be included within the dance classroom,” said Chad and Robert. The workshop was created to be beneficial and applicable to all participants, from clinicians to dancers. “The exercises, principles, and biomechanical analysis of the movement demonstrated was built upon a breadth of research ranging from articles on incidence of injury/pathology in dancers and gymnasts to research investigating the effectiveness of specific exercises in shoulder rehabilitation protocols” said Chad and Robert. The goal of the workshop was to take evidence-based research and expand upon it to create a more functional application for dancers and dance educators. Many of the techniques were developed through Chad and Robert’s experiences as dancers and dancer educators. 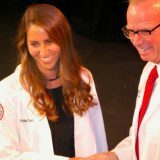 To learn more about the conference you can visit www.artsmed.org. 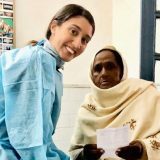 Here you can find information about the 36th Annual International Symposium as well as upcoming events and educational opportunities. To learn more about Robert and Chad’s workshop checkout @danceprehab on Instagram.